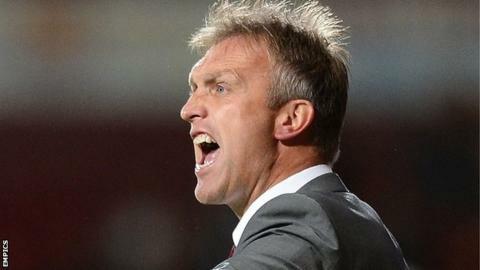 Crewe Alexandra boss Steve Davis has admitted that he will look to the loan market to add to his attacking options. Following Saturday's 1-0 defeat at home to Yeovil, the Alex find themselves just three points above the League One relegation zone in 17th place. And Davis believes they they need to have more threat in the final third. "We'll be looking for that player or two to try and get us a little bit more dangerous in the attacking third," Davis told BBC Radio Stoke. "Even if we bring one or two in, it gives the others a kick up the backside which is what we need at the moment." However, Davis insisted that he would not be rushed into making a quick-fix decision, and would only bring in someone who he considers better than what he currently has. "We can't just go out and get the first one that comes along," he said. "They've got to be better than what we've got or else there's no point in doing it."